These challenging times require adaptation to new practices, understanding of new trends and markets, and repositioning of the industry. And Jacques-Olivier Pesme, director of the Wine and Spirits Management Academy at KEDGE Business School in Bordeaux, France, says the B.C. wine industry will face many more challenges in the years to come. Pesme, who is a specialist in international business and sustainable competitiveness and a world-leading academic authority on the business of wine, works directly with UBC Okanagan’s Faculty of Management. With nearly 300 wineries in British Columbia, tough international competition, and new changes to provincial liquor licencing laws, Pesme says the sustainability of this popular industry is being challenged. “The wine industry is truly a global market, and the local situation can’t continue as it is because the competition, whether it’s local or international, is fierce,” says Pesme. This summer, as part of an innovative partnership between the University of British Columbia and B.C.’s wine industry, UBC received $630,000 from Western Economic Diversification Canada to help strengthen cooperation in the industry, enhance export readiness, and develop a global identity. The funding is to help establish task forces on wine labelling and presentation, and on the industry’s identity; to provide analysis of intelligence from international trade shows; to help identify and assess options for organization, modeled from other advanced wine regions in the world; and to help develop online tools to strengthen collaboration and industry knowledge. “Working with the B.C. wine industry, UBC will serve as a convener for the sector and international experts to come together to create an expanded, globally competitive wine region,” says Buszard. 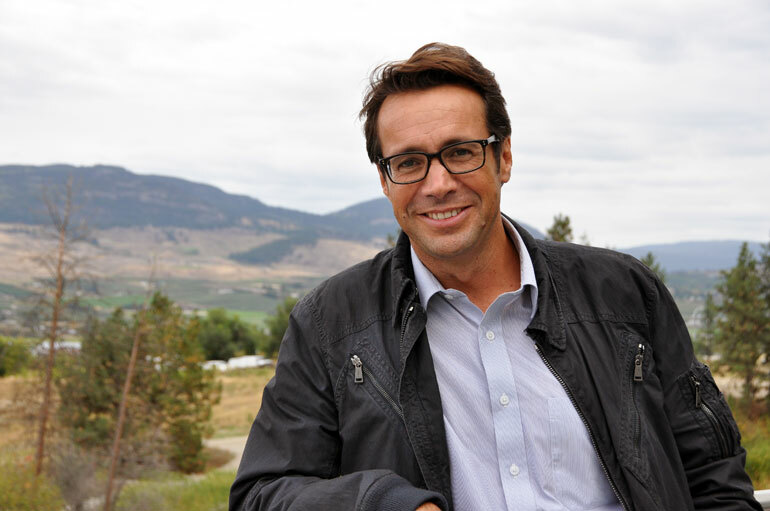 Wine regions have specific identities, and he says the Okanagan wineries need to come up with an identity that they all share, and then promote the entire area and its products. UBC Faculty of Management Dean, Roger Sugden, says connecting regional wineries and wine makers with experts from around the world to assist with the growth is part of the faculty’s commitment to community engagement. “The presence of UBC and KEDGE as impartial allies to the local wine industry creates a new avenue for territory-wide growth, as values, standards and collective strategies can be coordinated and developed for the benefit of all wineries in the region,” says Sugden. Pesme will be back at UBC in November to help facilitate the Wine Industry Collaborative, being hosted at UBC’s Okanagan Campus November 2 and 3. Before the event, UBC and KEDGE are conducting a survey of the industry on wine labelling, and the preliminary results will be discussed at the collaborative. Jacques-Olivier Pesme, director of the Wine and Spirits Management Academy at KEDGE Business School in Bordeaux, France will be back at UBC in November to help facilitate the Wine Industry Collaborative hosted by UBC’s Faculty of Management.